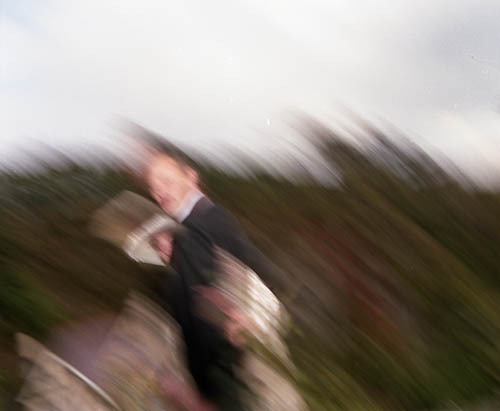 How to get realistic movement blur in a photo. You are here: Artful Dobson » Photography anecdotes » How to get realistic movement blur in a photo. It’s as easy as falling off a wall, in this case literally. So I was almost done with the wedding photos and grabbing some final bridal portraits when I thought that I needed a bit more height to make a better composition. There was a low parapet just behind me so I stepped up onto it and recomposed the shot. It was still a bit tight so without thinking I stepped back – into empty space and 10ft above the ground. I took the shot as I fell and landed on my back, with the pain compounded by my Bronica and Metz flash smacking my chest. Luckily the camera and flash were undamaged but I’d broken 2 ribs and was in severe pain – but I finished the wedding photos and drove home – via the Emergency room!! 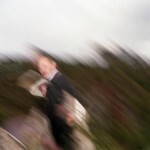 That particular photo showed some beautiful movement blur! 1 Comment to How to get realistic movement blur in a photo.